Well, 2017 is here and the hunger for reading is still apparent and even growing amongst the population. in 2016 with big releases such as the screenplay for Fantastic Beasts and Where to Find Them and the ever funny David Walliams hitting the nail on the head for the children’s book market it might not be too premature to call him the new Jacqueline Wilson. The movie-sphere was chock-a-block with film for everyone with highlights such as Moana, Captain America: Civil War, Arrival and Zootropolis there was a lot vying for our attention and I feel that 2017 is going to be bigger than last year. In the film industry we have the much anticipated La La Land (UK 12 January) and Guardians of the Galaxy Volume 2 (UK 28 April). For the younger generation there is the return of the Cars franchise with Cars 3 (UK 17 July) as well as the next instalment of Lego movies: The Lego Batman Movie (UK February 10). As for books my picks are; Laini Taylor, as she returns with Strange the Dreamer (UK 28 March) and Sarah Maas has A Court of Wings and Ruin (UK 2 May) and the as yet untitled Throne of Glass 7 due late in the year. There is too many books to keep on top of and with the expanding world there is more to choose from as books written in other languages are translated and entering the system. 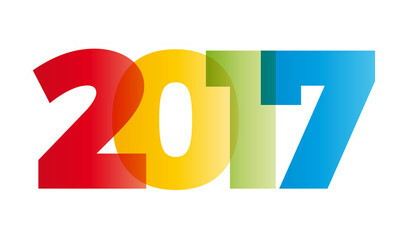 What are you looking forward to this year? For the blog, which turns three this year I hope that we can still have reviews coming out every month, but I do ask you to bear with as we are in University and naturally, project work, exams and placement must come first. I look forward to writing for you again!